✔ CERT 4 service provider. ✔ 9 years of experience in Web Design & Web Development. ✔ 100% money back guarantee - No questions asked. 25% of the world's websites run on Wordpress. With my help, yours can too. I've been developing WordPress and other CMS based websites for a decade now. 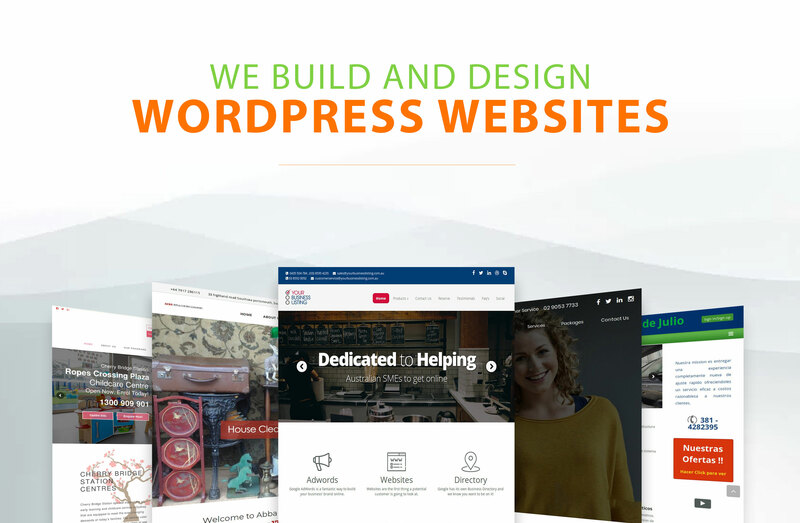 As I have the right expertise in this field, I'm confident that I can help you Design and Develop a fully responsive, Custom and SEO friendly WordPress website that can be a lead-generating machine. 2. I’ll ask for similar websites and take your ideas on the look and feel of the site. 4. I'll start the development process & build the site on a theme you provide or I can recommend or custom design one for you. (Message Me). Throughout the process, you'll be supported by me. Plugins I work on: Adsense, Akismet, All in One SEO Pack, Amazon, Aweber, Clickbank, Contact Form 7, Facebook, Getresponse, Gravity Forms, Instagram, LinkedIn, MailChimp, OpenCart, Paypal, Twitter, Vimeo, W3 Total Cache, WooCommerce, WordPress SEO by Yoast, Youtube. 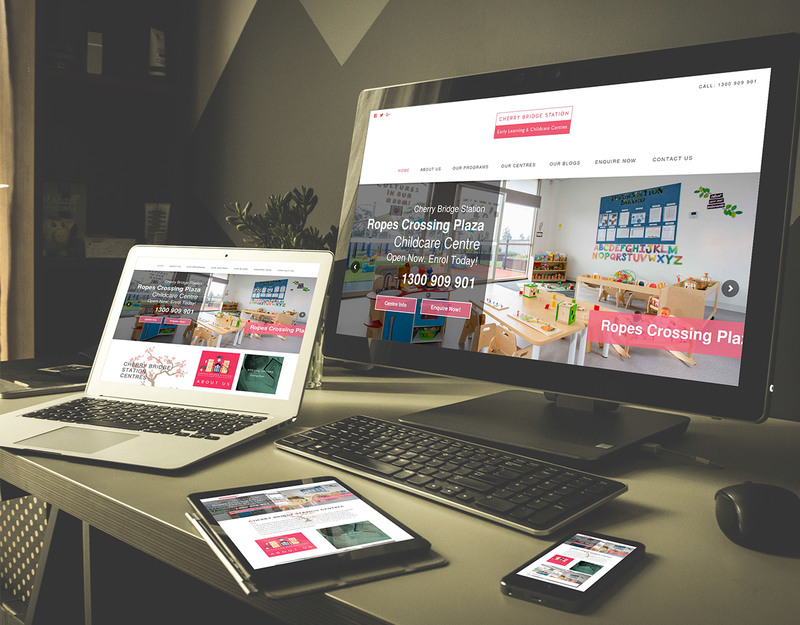 I can build a website of any complexity and sophistication in a clean and modern layout from scratch. If you want to consult and understand the process and describe your vision in dept we can arrange and discuss. Let me know your timings and we'll schedule a call accordingly. Get in touch today to make your visions live and rocking. Unlike the other agencies our baked products sets you apart from the crowd from user interface to experience perspective. What makes us stand out in this era of technology are our ability...Read moreUnlike the other agencies our baked products sets you apart from the crowd from user interface to experience perspective. What makes us stand out in this era of technology are our ability to brainstorm, ideation and execution on the same frequency as our client's demand. Try us out to mirror our efficiency or review our portfolio to get a feel of our expertise in CMS, PHP, Android, iOS, Blockchain, Bitcoin Trading Platform, Crypto Promotion, IOT from various gamut by far. We are experienced and qualified SEO & PPC expert with a proven track record of driving SEO/AdWords campaigns for higher sales and ROI. Over the past 9 years, I worked with hundreds of SEO clients from the UK across more than 40 industries to enhance their online presence. 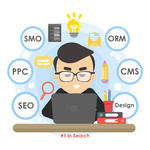 I’m Sumit and I'm here to share my passion for SEO, PPC, Social Media and Web Development. I’ve been working as a Digital Marketer for about 10 years now and what I find to be most important to me is Customer Service, Confidentiality, Accuracy, and Fast Delivery. I know what it's like to be a customer, and from my experiences, I'm dedicated to ensuring that every customer is handled with utmost care on a personal level. Let's work together and grow!. SEO: In today’s digital age every business seeks attention and it’s not an easy task to generate relevant traffic. This is where Search Engine Optimization comes in, SEO is the process of improving your website’s ranking in Search Engines. And it is crucial to rank one’s website on the first page of google as people are too lazy to click on the next page on google search. This is where I come in, I can be your SEO Expert and help you get to the first page on google search and flood your site with traffic and convert your website into a lead generating machine. PPC Campaign: I’ll set-up, optimize and manage your Adwords campaign for better results. I work on "NO RESULTS NO PAYMENTS" model and when it comes to your money, I don’t guess, I use analytics to keep your budget minimal while constantly improving campaign performance and conversions. Social Media Marketing: I can fully revamp your social media presence by auditing, strategizing and implementing the strategy, run a successful paid ad campaigns, manage Your online reputation, research, curate and design the best content for your channels and more. Get in touch today for a fully custom made package that suits you and your companies' campaign to get your PPC, SEO and Social Media rocking!